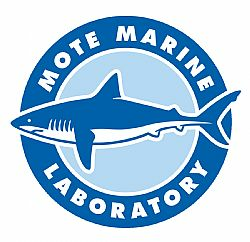 Mote Marine Laboratory recently received a $99,615 grant for its dolphin and whale rescue and rehabilitation efforts from the National Oceanic and Atmospheric Administration (NOAA). The grant was part of about $2.7 million total awarded as 35 grants to organizations in 18 states through the 2014 cycle of NOAA’s competitive John H. Prescott Marine Mammal Rescue Assistance Grant Program. This Program, established through an amendment to the federal Marine Mammal Protection Act, is a vital source of funds for marine mammal rescue and rehabilitation by members of the NOAA-coordinated National Marine Mammal Stranding Network — including Mote. "Prescott grants are extremely important to us as a nonprofit organization rescuing and rehabilitating marine animals,” said Gretchen Lovewell, manager of Mote’s Stranding Investigations Program. “These grants are the only direct source of federal funds for members of the National Marine Mammal Stranding Network. As part of this network, we are first responders providing emergency aid to dolphins, whales and other marine mammals that might otherwise have no helping hand." Mote’s Stranding Investigations Program provides 24-hour responses to reports of sick, injured and deceased whales, dolphins and sea turtles — all federally protected species — in Sarasota and Manatee counties and is often asked to assist with rescues and large-scale events beyond this designated area due to their extensive experience dealing with stranded animals. The program also helps state biologists respond to sick, injured or deceased manatees, endangered marine mammals living in Florida’s coastal waters. Mote responders transport stranded dolphins, small whales and sea turtles to Mote's Dolphin and Whale Hospital or Sea Turtle Rehabilitation Hospital for treatment designed to help them recover and return to the wild, while giving deceased animals a detailed post-mortem examination called a necropsy. Necropsy findings help scientists evaluate the long-term mortality trends of these species, especially those relating to disease, injuries and manmade threats such as boat strikes and fishing gear entanglement. Findings offer vital information for resource managers working to protect marine animals. Bones of deceased dolphins and small whales are preserved in Mote’s Ruth DeLynn Cetacean Osteological Collection, which contains hundreds of carefully documented bone specimens used in scientific studies. The new Prescott funds will support operations, equipment and other key needs of Mote’s dolphin and whale rescue and rehabilitation programs, such as travel to distant rescue sites. It will also strengthen Mote’s diagnostic abilities by supporting the purchase of a MiniXray HF100 + Ultralight Portable X-ray unit. “The portable X-ray will help us take images in the field and know sooner whether an animal can be released immediately or needs further treatment, and it can help us work with animals too large or cumbersome to bring into our vet lab,” Lovewell said. “With deceased animals, it will help us look for stingray barbs, fishing hooks or other foreign bodies and take a careful look at the overall body prior to conducting a necropsy or preparing the skeleton for documentation and study,” Lovewell said. This year alone, Mote’s Stranding Investigations Program and animal hospitals have responded to more than 80 stranded sea turtles and 40 stranded marine mammals — a challenging task for a nonprofit such as Mote, which relies greatly on grants and support from the community to help animals. While Prescott funds are vital to animal rescuers, the overall budget for this federal program has been cut in half during recent years. “Only about half of the proposals submitted were funded this year, so we are very grateful and fortunate to receive these funds,” Lovewell said.